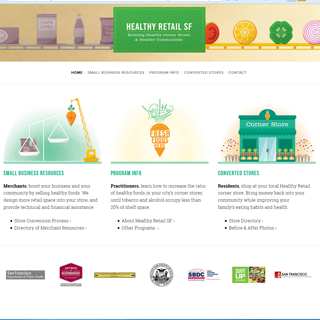 HealthyRetailSF is an incentive-based, voluntary pilot program for merchants of local retail shops, also known as corner stores, to help shift business models and make the changes needed to remain competitive but to also provide healthier food options in their communities. HealthyRetailSF program was established by legislation to promote healthy eating and make fresh produce and healthy food products available to existing residents in communities where there is a lack of healthy food options. It combines a community engagement approach along with store redesign, and technical assistance, bringing together facets of business, government, and community to make transformations a reality. The goals of the program are to promote healthy eating, strengthen small independent business and increase community cohesion while reducing visibility and de-normalizing unhealthy products so that all residents and children have access to healthy, fresh and affordable foods. We're creating healthier communities one corner store at a time. Our HealthyRetailSF program supports corner store owners by boosting their business by selling nutritious foods. HealthyRetailSF works with merchants to redesign retail space in their stores, and provides technical and financial assistance. 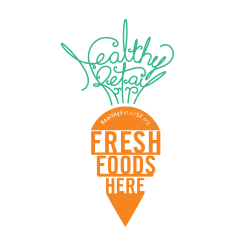 Learn more about HealthyRetailSF, and download and complete the Interest Form and submit it by April 17, 2017. HealthyRetailSF is led and deployed by the Office of Economic and Workforce Development (OEWD) in partnership with San Francisco Department of Public Health (SFDPH), the two coalitions, Bayview HEAL Zone and the TLHCSC, with expert technical assistance from Sutti Associates and the Small Business Development Center.